The podcast tile view is the main display of your current podcast subscriptions. 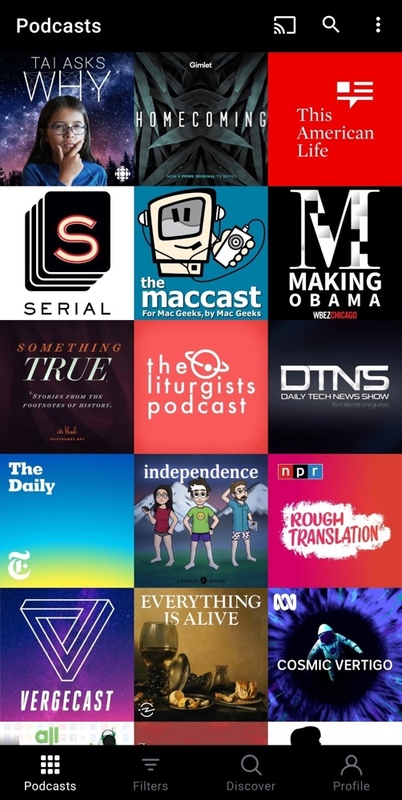 To access the tap the Podcasts tab. Podcasts with no unplayed episodes will be moved to the bottom of the grid when sorting by Episode Release Date.